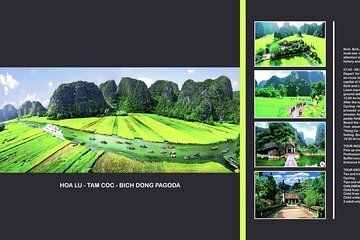 Explore the highlights of Hoa Lu and Tam Coc on a full-day tour to Ninh Binh province from Hanoi. Visit ancient temples and royal ruins, then take a leisurely ride down a scenic river in a sampan boat. Pass by villages, rice fields, mountains, and large caves, and learn from your guide about this picturesque part of northern Vietnam.